Over the years, Murren has called on the lessons she learned at Bryn Mawr to continually — and successfully — reinvent the life she envisioned for herself. 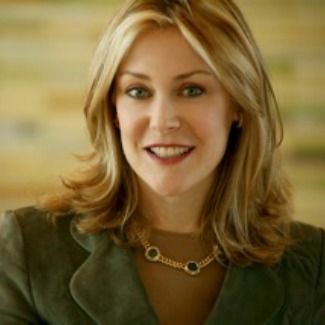 She spent thirteen years on Wall Street, where she earned a reputation as an all-star analyst and quickly rose to a senior executive position at Merrill Lynch. In 2002, she left Merrill Lynch to forge a new career path: creating the Nevada Cancer Institute. Murren is passionate about providing top-notch treatment and support for thousands of cancer patients in a state with one of the highest cancer mortality rates in the nation. In 2005, the Las Vegas-based non-profit cancer research and care center opened its doors. “I had done what I set out to do on Wall Street, and I wanted to do something that had more to do with medicine and with helping people who didn’t have access to treatment,” she says. In 2009, she added yet another impressive accomplishment to her resume: an appointment to the Financial Crisis Inquiry Commission, established by the federal government to conduct a comprehensive review and analysis of the American financial crisis. The resulting report received critical acclaim and appeared on the New York Times bestsellers list.